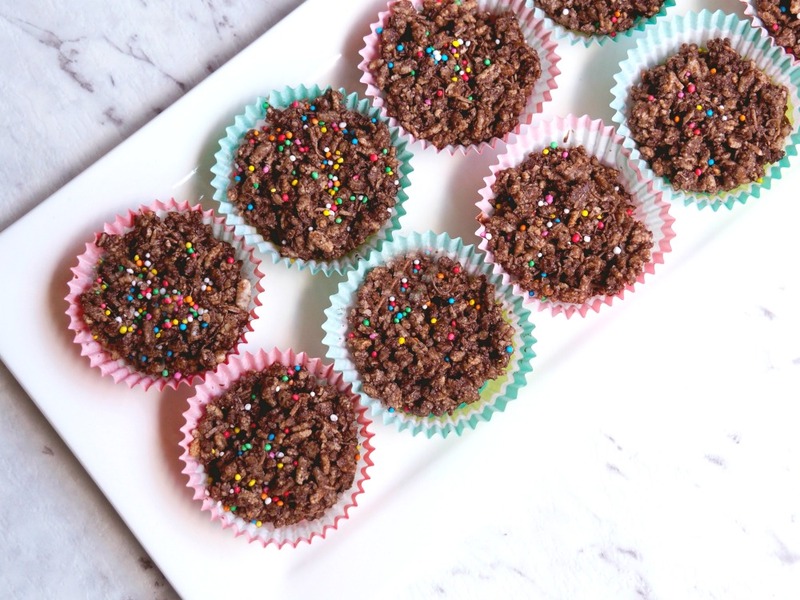 I think you’re going to love this healthy version of this no bake teatime treat! It was my friend Eve who gave me this recipe and thus how the recipe got it’s name. Now I know Eve won’t mind me saying that she’s not well known for her culinary delights, but I’ll tell you this, she’s the Queen of the Crackles! We could always rely on Eve to bring out the crackles for morning teas at the office! I’ve been loving on all things crackly since I was a kid and if you share my love of no bake cereal slices, you might want to check out this Chocolate Crackle Slice , this Chocolate Fridge Cake and these No Bake Crunchy Lunchbox Treats. Nom nom! However I must come clean because I used some artistic licence when I recently updated this recipe. 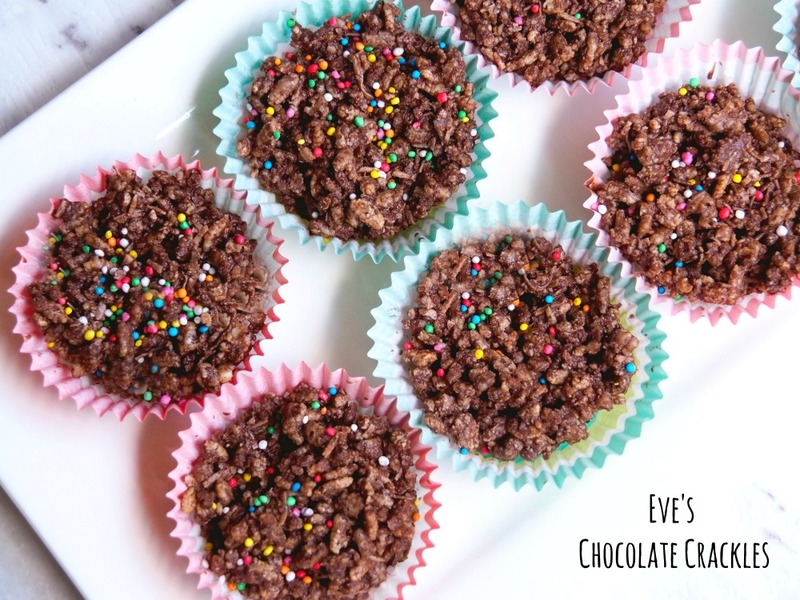 I added some new pics, a Thermomix conversion and tweaked Eve’s special recipe! The thing is I just couldn’t bring myself to use the copha. I’ve never used it and never intend to use it either, I don’t know what I’ve got it against it but I know it’s right up there with my other food nemesis tofu. So I swapped the copha for coconut oil which basically makes these a health food, amirite or amirite? 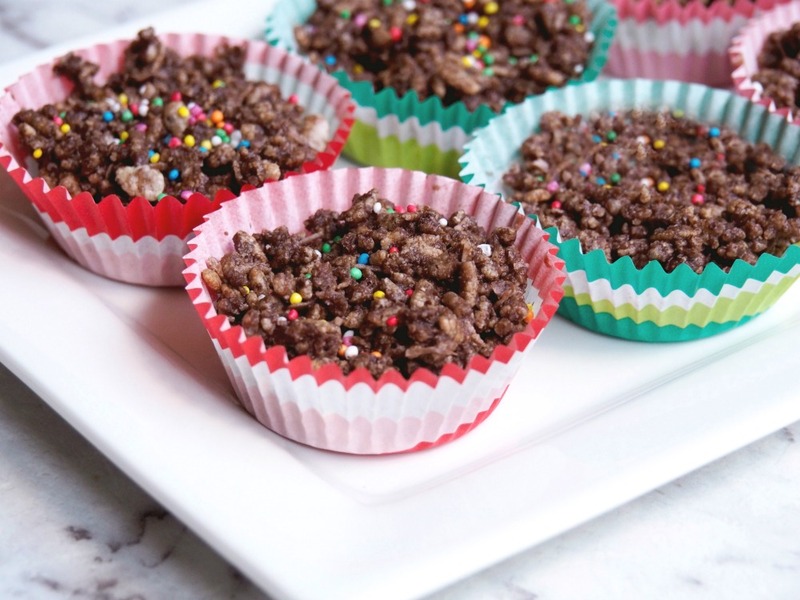 There’s a lot to love about these crackles, they’re quick, easy and all you have to do is melt and mix. In fact, the hardest part is waiting for the crackles to set. So tell me, what’s your food nemesis? Have you ever cooked with copha? In a large bowl, mix the Rice Bubble, icing sugar, cocoa and coconut. Roughly chop the chocolate. Slowly melt the coconut oil and chocolate in a saucepan over a low heat. Allow to cool slightly. Add to Rice Bubbles mixture, stirring until well combined. Spoon mixture into paper patty cases, decorate with sprinkles and refrigerate until firm. If you want to make your own icing sugar, blitz 100g of raw sugar for 10 seconds on speed 9. Set aside. Place chocolate in TM bowl and chop for 5 seconds on speed 8. Add coconut oil and melt for 3 minutes at 90C on speed 3 or until completely melted. 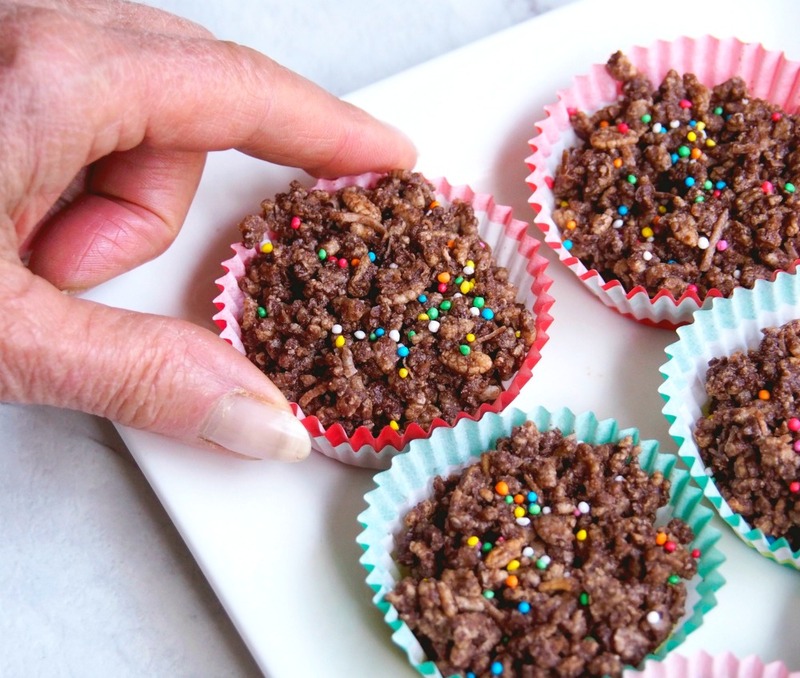 Add the rice bubbles, sugar, coconut and cocoa and mix for 5-10 seconds on reverse speed 3.